Annuals are key components of many gardeners’ landscapes. These types of plants may only last one season, but their presence is felt. 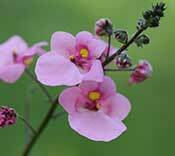 They bloom for a long time, filling out gardens after perennials have disappeared. Annuals are good options for flower beds, borders, containers, hanging baskets, and window boxes. Cut or dried, annuals also make for unique arrangements and decorations. Garden stress-free by incorporating this handy guide to planting annuals into your schedule. The following tips can serve as convenient reminders of when to plant your favorite varieties of annuals. Timing is everything when it comes to gardening. Once you have that down, you’re well on your way to planting perfection. 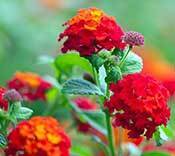 There are many opportunities to plant annuals throughout the year, so you can also consult these suggestions whenever you get the itch to garden in any given month. Workable ground for annuals is neither frozen nor wet. 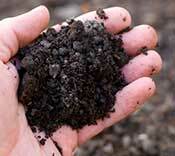 To double-check the state of your soil, you’ll have to get your hands dirty. Grab a handful of soil and give it a squeeze. Ideally, the contents will crumble and fall from your grasp. If clumping occurs instead, the soil is too wet to accommodate new annuals. In this case, you may need to delay immediate plans, but patience will be rewarded with flourishing flowers. Even the wettest soil will eventually dry, however, and once it does, it’s cold-weather annuals’ time to shine. Keep in mind that garden layouts can impact timing. Soil in raised beds warms more quickly than soil in in-ground beds does. Estimating the best time to start certain annuals is easy; just look up the relevant average frost-free date online. Every zip code has its own average, a guidepost used by gardeners to determine when they can stop worrying about frost. Cold-weather annuals grow in early spring and fall. As long as you test the ground to ensure that it’s prime for planting, you can begin to add annuals to your garden in early spring. Violas, primroses and pansies are examples of resilient varieties capable of surviving the first weeks of planting season. These annuals may be strong enough to grow as soon as spring has sprung, but they still need to be hardened-off in order to thrive. After a long winter, gardeners crave color. Nemesia, diascia, snapdragons and osteospermum can do the trick, even if it’s early in the year. These types are ready to be planted two or three weeks before the last frost of the year. Strong plants that do well in the early spring can also be started in the fall, since the climate is comparable during both periods. 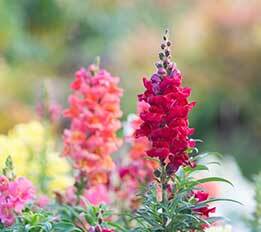 Get the most out of cold-weather annuals by planting them at the beginning of the fall. This way, you’ll have more weeks to enjoy autumn annuals. As soon as the frost-free date has been reached, any annual can be planted. It’s wise to keep an eye on the forecast at this time, just in case. In the event of frost, use a cover to protect fragile plants. Meanwhile, annuals that have been transplanted inside for the winter can be reintroduced outdoors at this time. Additionally, annuals capable of withstanding hot temperatures can be planted throughout the summer. Warm-weather annuals include marigold, zinnia, and impatiens.